The second Security Force Assistance Brigade will stand up at Fort Bragg, North Carolina, the Army announced on Friday. Fort Bragg was chosen based on “strategic considerations,” including projected time to activate and train an SFAB, the presence of senior grade personnel to man the unit, and required facility costs, according to an Army news release. Fort Bragg is one of the Army’s busiest and largest installations, and it is already home to organizations such as the XVIII Airborne Corps, the 82nd Airborne Division, Army Forces Command and Army Special Operations Command. The first of six planned SFABs activated in October at Fort Benning, Georgia. The brigades are the Army’s first permanent units that will conduct security cooperation activities and allow quick response to combatant commander requirements. The 1st SFAB is already scheduled to deploy, and the soldiers are gearing up to leave sometime early next year. 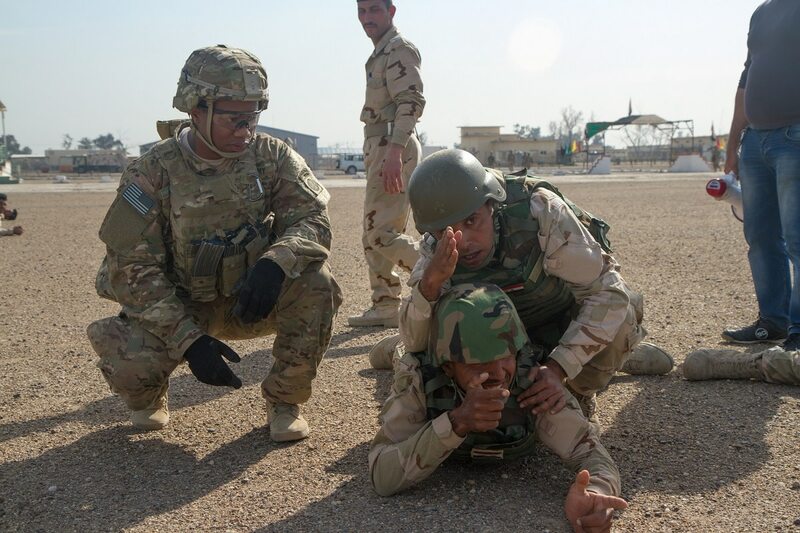 Each SFAB will initially be staffed with about 800 officers and noncommissioned officers who have expertise in training and advising foreign security forces. Five of the brigades will be active duty, and one will be in the National Guard. They will be designed on the Infantry and Armored Brigade Combat Team models, and the core of the SFAB is an adviser team. But unlike Military Training Teams, which were generally a group of identical teams with no command structure, the new brigades are command-centric with built-in mission command structure, according to the Army. The brigades will help reduce the demand on existing brigade combat teams, and in a time of emergency, SFABs will provide an option for the Army to grow BCTs rapidly. Earlier this year, Army Chief of Staff Gen. Mark Milley said that advise-and-assist brigades are one way to regenerate the force amid growing threats around the world. In the past, the Army would break apart brigades to meet those missions. It can also take about three years to put the unit back together once leadership has returned from serving overseas, he said. With these new advise-and-assist brigades, there would be a cohesive chain of command to take soldiers through basic training, add a team and put it under those existing chains of command. To support the SFABs, a Military Advisor Training Academy opened at Fort Benning, which will train soldiers assigned to these specialized units.